Robert L. Green, a friend and colleague of Martin Luther King Jr., served as education director for King’s Southern Christian Leadership Conference during a crucial period in Civil Rights history, and—as a consultant for many of the nation’s largest school districts—he continues to fight for social justice and educational equity today. This memoir relates previously untold stories about major Civil Rights campaigns that helped put an end to voting rights violations and Jim Crow education; explains how Green has helped urban school districts improve academic achievement levels; and explains why this history should inform our choices as we attempt to reform and improve American education. Green’s quest began when he helped the Kennedy Administration resolve a catastrophic education-related impasse and has continued through his service as one of the participants at an Obama administration summit on a current academic crisis. It is commonly said that education is the new Civil Rights battlefield. 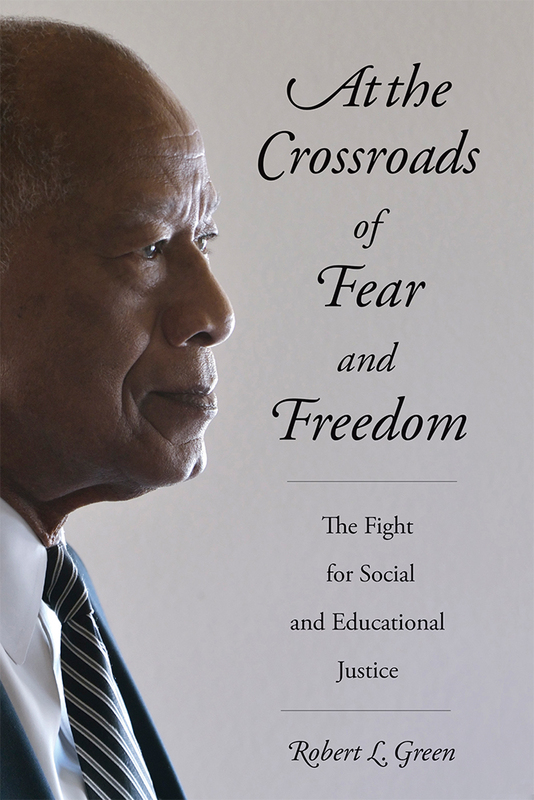 Green’s memoir, At the Crossroads of Fear and Freedom: The Fight for Social and Educational Justice, helps us understand that educational equity has always been a central objective of the Civil Rights movement. Robert L. Green dean, and professor emeritus and distinguished alumnus, Michigan State University, is a scholar and activist on issues related to urban schools and educational equity.